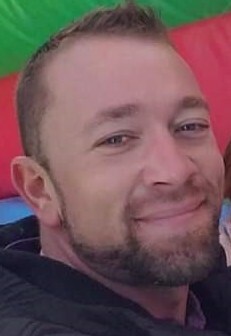 Mr. Neal H. McIntosh, Jr., age 35, of 26 Lakewood Cir. Pittsfield, died Monday, November 19, 2018 at the Berkshire Medical Center. He was born in Pittsfield, Feb. 20, 1983, the son of Neal H. McIntosh, Sr. of Pittsfield and Tina Lord Salmon of North Adams. Educated in the local schools, he graduated from Hoosac Valley Regional High School in 2002. At the time of his death, he was employed at Countryside Landscaping and Design in Williamstown as a landscaper and tree man. Neal enjoyed all outdoor activities which began as a boy by catching frogs and snakes with his brother. He was both fun loving and silly and enjoyed being a bit obnoxious at times. He had professed his faith in recent years. Neal was a U.S. Army veteran and upon his discharge as a Private First Class, he served in the Army National Guard . Besides his parents, he is survived by his two daughters, Madison McIntosh and her mother, Heather Frazier of Cheshire and Millie Bullet and her mother, Emily Bullet of North Adams, his brother, Eric McIntosh and his wife, Allyson and their daughter, Autumn and their son, Micah of Pittsfield, Neal's sister, Kristina M. McIntosh of Pittsfield and her two sons, Keshawn and Marquis. He is also survived by his two uncles, Henry McIntosh, Jr. of Adams and Randy McIntosh of Pittsfield, his three aunts, Bonnie Tietgen of Ft. Pierce, FL, Laurie Atwell of Lanesboro and Audrey Elias of Pittsfield. His uncle, Daniel M. McIntosh, died Oct. 15, 1995. Calling hours at the DEVANNY-CONDRON FUNERAL HOME will be SATURDAY, Nov. 24th beginning at 9:00 AM. Funeral services will follow at 10:30 AM with the Rev. Jeff Black, pastor of New Life Church, officiating. Burial will follow in the Pittsfield Cemetery. In lieu of flowers, memorial donations may be made to Soldier On in care of the funeral home.